Page F30: 1983 and the predecessor to Rogue, Angband, Diablo, etc. etc. 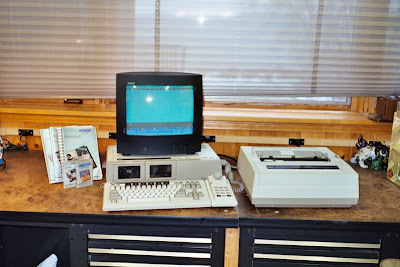 1983 and the predecessor to Rogue, Angband, Diablo, etc. etc. Oh yeah. Ours didn't even have a monitor as we hooked it up to the TV instead. 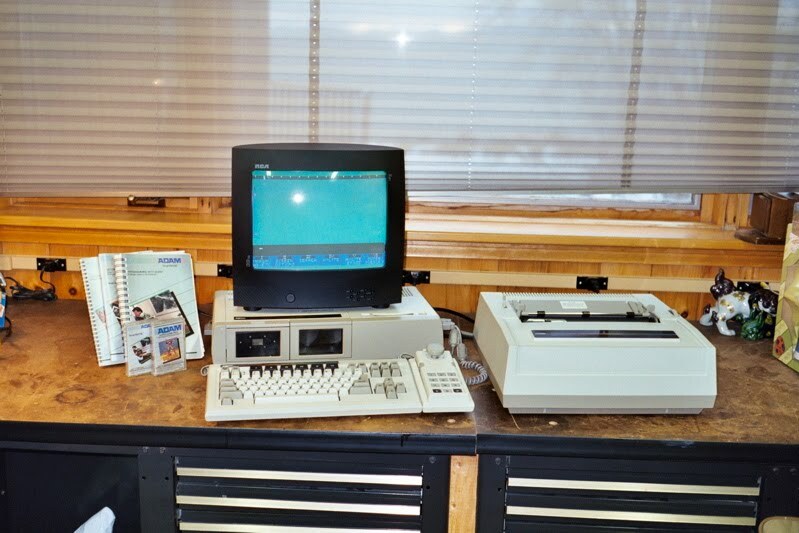 The printer on the right also functions as a typewriter. Flip the switch one way and it's a word processor, flip it the other way and it prints out whatever you type, as you type it. 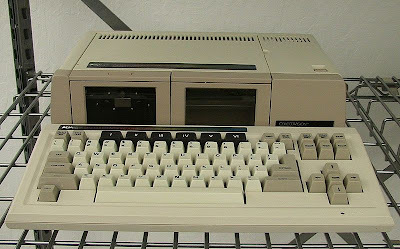 You'll also notice that uses audio tapes instead of a disk drive, and loading something on those takes a few minutes, which feels like forever when you want to play a game. Rrr-rr-rr-rr-wheeeeeng-rr-rr-rr-rr-wheeeeng-rr-rr-rr is the sound it makes. But then the game finally loads and now it's time to play. You can see the joystick there to the right of the keyboard. Searching through Google, going over lists of Colecovision games, nothing had ever worked. So yesterday I posted a plea to Reddit for any help in finding the game, and once again no luck. 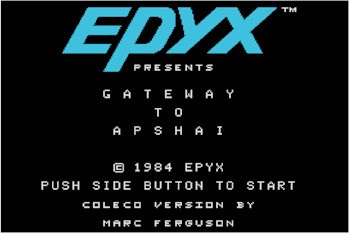 Taking matters into my own hands, I then carried out a massive search yesterday...and eventually an a fairly extensive list I came across a suspicious-looking title called Gateway to Apshai. I remembered the game starting with an A, but was that it? I remember thinking of the word on the top in large font (EPYX) as being the title, but somehow remembered that the actual title started with a. In my memory until yesterday it was something like Akteris or Aptris or Axelis or something along those lines, just clear enough that I would recognize it upon seeing it again but too vague to properly remember alone. And now to the game! Voilà. Level 8 of the dungeon perpetually repeats until the player runs out of lives, ending the game. Good to see that it wasn't our fault. This game needs to be remade. Some of the other games for the computer we played at the time: Dragon's Lair, Zaxxon, Buck Rogers, 2010: The Text Adventure Game, The Dam Busters (pretty much impossible), WarGames, Smurf, Bump N Jump, Hard Hat Mac (level 2 always creeped me out for some reason), Pitfall, and many more. Gateway to Apshai though was the only one I simply couldn't remember.